Two years after leaving Long Island for Brooklyn’s Barclays Center, the Islanders are officially returning giving locals much to smile about. Gov. 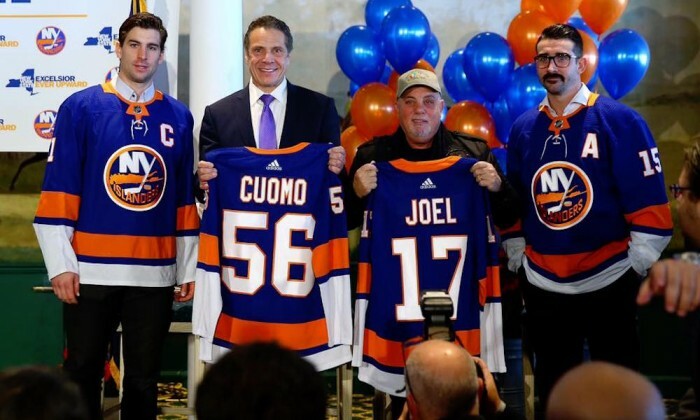 Andrew Cuomo made the announcement Wednesday as Billy Joel, Islanders owner Jon Ledecky and National Hockey League Commissioner Gary Bettman stood in the room. 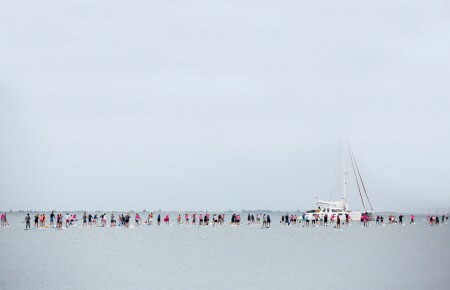 “When the Islanders left, they left a hole in the heart of Long Island,” Cuomo said. The NHL team, which played at Nassau Coliseum since its inception in 1972 until 2015, will have a new home at the Belmont Park racetrack. The news comes three months after the team made the bid in September to develop the arena. The $1 billion investment will also feature a 435,000-square-foot retail hub, a 193,000-square-foot hotel and 10,000-square-feet of offices and parking space. 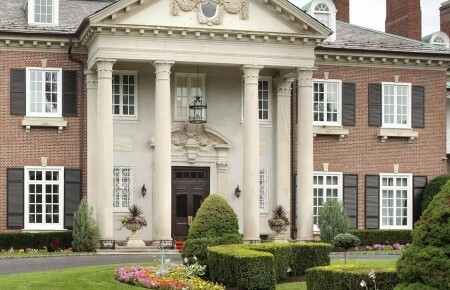 Construction is expected to start in 2018 and finish in 2020, according to Newsday.